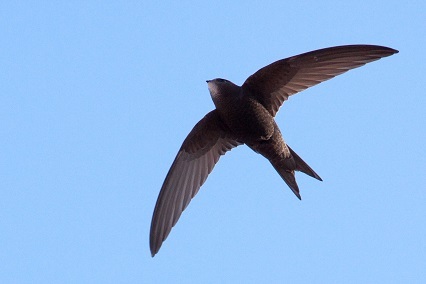 Swifts in the Community is a project based in South Cumbria and North Lancashire, set up with the aim of conserving swifts by preserving their traditional nesting sites in local towns and villages. These iconic birds spend our winter months in Africa, before undertaking a huge migration every year to return here to breed. They start arriving in late April and early May, returning to the same place each year to nest and bring up their young, and stay until the end of August. Their nests, a shallow cup of straw cemented together with saliva, are nearly always in buildings built before the 1950s and about half of all nest sites are in private dwelling houses.